Project Fi is expected to lose the “project” tag very soon, an internal document leaked recently confirms. Although the rebranding of the Project Fi has been predicted several months ago, it's the first time that we have something written to show you. 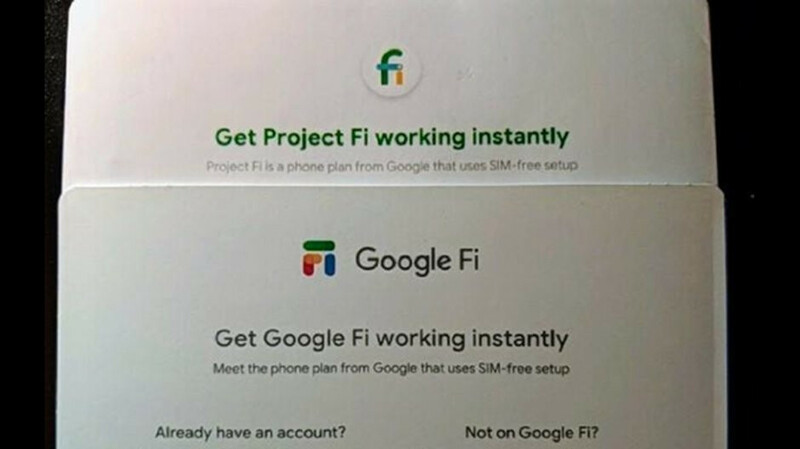 First spotted by 9to5google, the document discovered by a Redditor clearly shows that Project Fi will be rebranded as “Google Fi,” a name that makes sense. The logo of the service has been changed as well and now uses four colors instead of just three. There's no telling if Google plans to completely overhaul the service's website as well, but it wouldn't be surprising. Now that we know for sure Project Fi will become Google Fi, the only thing to determine is when exactly Google plans to make the change and if there will be any deals to celebrate the rebranding. Project Fi is Google's MVNO (mobile virtual network operator), which uses both Wi-Fi and cellular networks that belong to U.S. carriers Sprint, T-Mobile and U.S. Cellular. Depending on the signal, the MVNO automatically switches between these networks to provide the best signal strength possible. Well that took them long enough. I've been happily using Fi for two and a half years now and I love it. Hopefully they will lower their prices to be more competitive. Republic Wireless is $15 for Unlimited talk and text and only $5 per GB. (instead of Fi's $20 + $10 GB). I pay $23 a month and have 1GB of data to use, for the same cost as Fi with no data usage. I still get same Tmobile network. No need for the Fi network switching thing...Sprint is junk and is inferior everywhere I go and no US Cellular anywhere in the north central US where i live. agreed. I would have switched to Fi already if their bill cap was $60 and not $80.